In Metrology, The angular measurements are frequently necessary for manufacturing industries. Vernier Bevel protractor is one of the angular measuring instrument used for close tolerances. We are going to discuss the construction and the working principle of the Vernier Bevel protractor in this article. Bevel Protractors are the Angular measuring devices. Vernier Bevel protractor is the simplest angular measuring device which is having a Vernier Scale(Similar principle as the Vernier Calliper) along with the acute angle attachment. 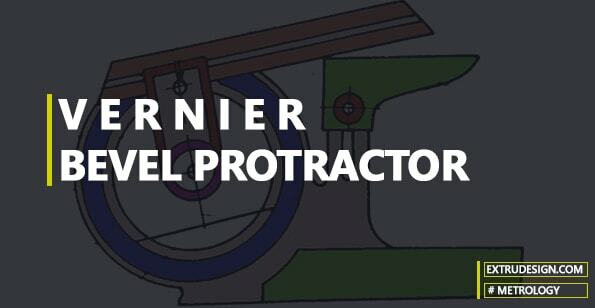 Vernier Bevel protractor consist of the following components. Circular Plate with graduated vernier scale divisions. The base plate(Stock) consisting of the Working edge will be mounted on the Main body. And the Acute angle attachment is also mounted on the main body. This acute angle attachment can be readily attachable/detachable with the Locking Nut. A circular plate having a vernier scale in it, also mounted on the Main body frame. This circular plate is carrying an adjustable blade which can travel along its length and locked at any position with the help of the blade locking nut. The adjustable Blade one end is bevelled at angles 45° and the other end is bevelled at 60°. This Main body frame itself having a graduated scale called the main scale. The circular plate can rotate freely on the main body. There is a slow-motion device which helps to control the rotation of the circular plate on the main body. 1. 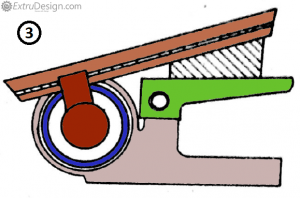 As the Base Plate (Stock) acts as one of the working edges, and the other working edge will be the blade which is held on the circular plate. as you can see the some of the sample positions of the Vernier bevel protractor in action. 2. This Adjustment Blade can be rotated along with the circular plate on the main body. 3. 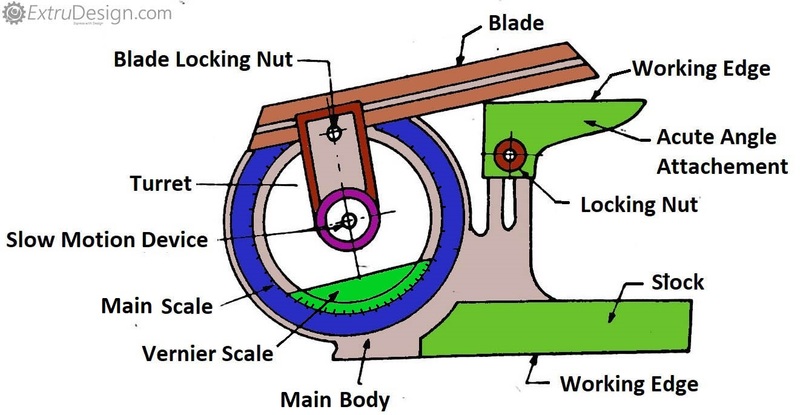 Which means the vernier scale on the circular plate will be rotated on the Main scale which is graduated on the Main body as shown in below. 6. One devision= 60/12 = 5 minutes. 8. One division on the Vernier scale = 1.91666° = 1° 55′ (one degree 55 minutes). 9. 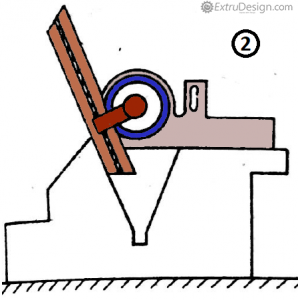 As similar to the vernier calliper working principle as Zero on the vernier scale moves on the main scale. 10. While taking a measurement, The Zero line on the vernier scale shows the reading on the main scale, called main scale reading. 11. At somewhere The divisions on the vernier scale will coincide with the divisions on the Main scale. this reading is noted as the Vernier scale reading. 12. With these values along with the least count of the Vernier bevel protractor, we can calculate the Reading. Consider the Following is a reading of an angular measurement. The total reading =the main scale reading + the number of the division at which it exactly coincides with any division on the main scale × least count of the vernier scale. All the way we have discussed the Construction of Vernier Bevel Protractor, and its working principle, and taking an angular measurement with the Vernier bevel protractor. Let us know your thoughts in the comments section below if we have to cover anything in here! Sure Niharika. I will update and let you know. Thanks for your feedback.